Hosted by Daniel O’Donnell, ‘Ceiliúradh na Féile Pádraig' will bring viewers a stellar cast of singers, dancers, musicians and musical traditions on BBC Two Northern Ireland at 9pm and TG4 at 9.30pm on Sunday 17th March. 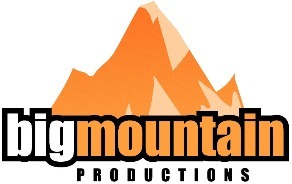 The special St Patrick’s Day concert is produced by Big Mountain Productions and was recorded at the Market Place Theatre in Armagh. ‘Ceiliúradh na Féile Pádraig’ is a BBC Northern Ireland co-commission with TG4, supported by Northern Ireland Screen’s Irish Language Broadcast Fund. Daniel will be joined by a host of well-known guests including Clancy, Holden and Dunphy, Seán Keane, The Armagh Pipers Club, Ríoghnach Connolly, Colin Foley, Fusion Trio, Lemoncello, Celticanto, the Dundalk Institute of Technology Choir and Irish dancers from The Rooney, O’Malley, Maguire School, for an hour of music and chat. The Donegal man will also join his guests for special performances of Mo Dhún na nGall, Grace and Fare Thee Well. ‘Ceiliúradh na Féile Pádraig’ will also be available to watch on the BBC iPlayer and the TG4 Player via www.bbc.co.uk/iplayer and tg4.ie/en/player.